A tragedy on the high seas caused at least three dozen Porsches to end at the bottom of the Atlantic about 333 kilometers from the French port of La Rochelle. 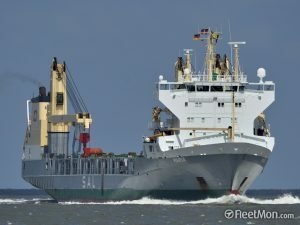 The Italian cargo ship Grande America of the shipping company Grimaldi Group embarked on Tuesday from the port of Hamburg, and bound for Marakech with 26 crew members and one passenger. However, this Sunday there was a fire on the deck and despite the efforts, it could not be controlled. What caused that all on board the ship were rescued. Unfortunately, the ship was carrying approximately 2,000 cars, including at least four Porsche 911 GT2 RS, a car that the German automaker had announced that its production would be stopped last February. This means that if you wanted to own one of these machines, you had to go to the second-hand market to have yours. However, after the tragedy, Porsche announced, exceptionally, that it would resume the production of the model in April, in order to deliver the last Brazilian customers whose cars were lost in the collapse. The firm has not officially given the list of vehicles on board the vessel, however an anonymous source leaked a letter that Porsche Brazil sent to its customers explaining the situation in which their vehicles would not arrive in the time scheduled to root of the accident.